One of the hard parts of 3D printing is getting a nice smooth surface. Typically an print has tiny lines where the layers and layers of plastic have been build on top of each other while printing. These are commonly called “Step Lines”. Until recently I’ve been printing with PLA while you have to sand to get a smooth surface. It can be very time consuming. Since upgrading my printer I’ve been trying ABS (Acrylonitrile butadiene styrene) filament. It tends to be a bit stronger with a higher melting point, so it will not warp as easily in hot temperatures. In addition you can use acetone to smooth the step lines away unlike PLA. The process is fairly simple. I’ve used a metal container, wrapped the inside in paper towel and used magnets to keep them in place. Carefully, I’ve dampened the paper towel with Acetone (which is a dangerous chemical so be careful and read all the warnings before using.) Once that is done you put your printed part on a piece of metal to ensure it is off the bottom of the container, then put the container over the figure. Glass with Acetone, metal container with paper towel in place, and 3d part elevated. You need to leave the part for around 40 minutes sealed in the container. This allows the vapors from the Acetone to eat at the part. After the 40 minutes is past you can open the container, be careful of the fumes that will still be present! 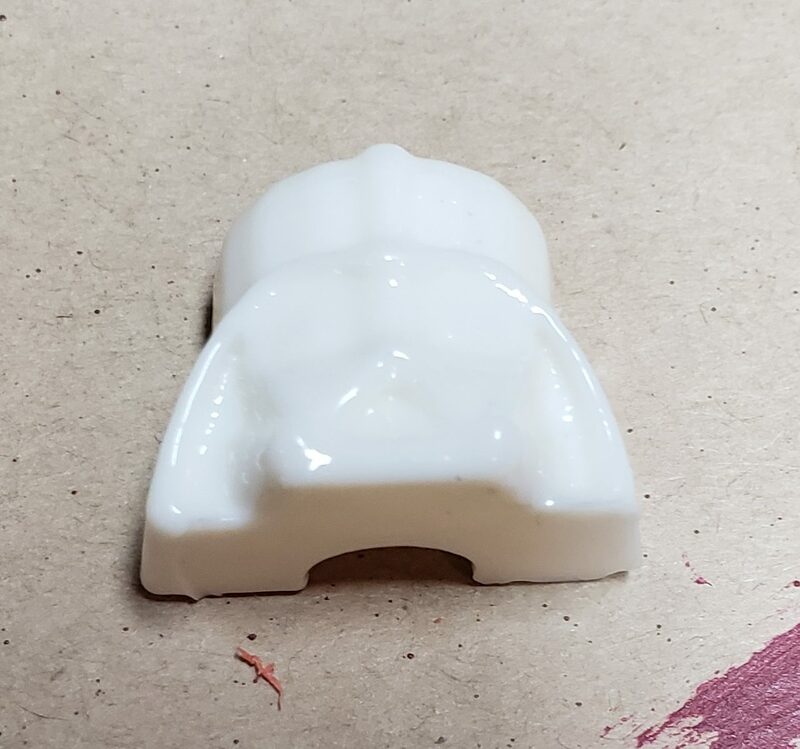 The part will be very soft and gummy as the Acetone will still be on it. Let it air dry. I left mine for an hour. After, the part will be dry and you can remove it. A good amount of the step lines will be gone and you’ll be left with a shiny print! 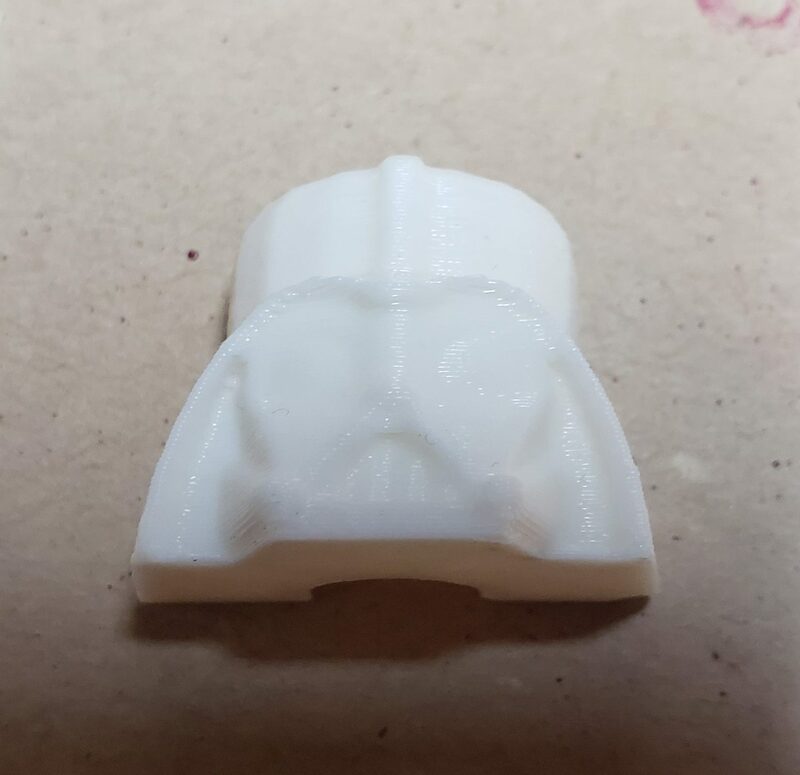 This was a really simple and fairly easy method to getting a smooth print. Now I need to find a bigger container for doing larger prints! My name is Chris Duffield. I live in New Brunswick Canada where I am the co-owner of a Comic and Board Game store. Along with the inspiration of my loving wife Jessica and aid of my assistant Harry (he’s a cat) I’m looking to have a space to share my hobbies and chronicle the process of creation.